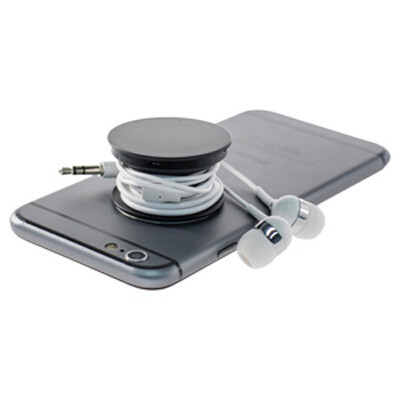 Features: Secure and yet collapsible supports that mount to the rear of your mobile devices. Used to an adjustable stand to watch content or wrap your fingers, earphones or charge cables around them for added security while texting or when not in use. The sticky adhesive can be easily restored by simply washing under cold water so you transfer them to a new device. Compatible with most smartphone or tablets with a smooth backing case. Available with in-car mounting bracket (AR711A). Material: PC, TPU. Product Colour: Black, Blue, Red, White, Yellow. Product Size: 40 mm (dia. ), Extends from 7 to 22 mm (H). Print Area: 32 mm (dia.). Print Process: Pad print, 4CP Direct Digital. Delivery: 3-4 weeks (indent) from art approval. Standard Packaging: Polybag. Packing Details: 100 pcs per carton, 1 Kgs, 30x22x10 cms. Setups: Included.